CVG has just posted Atari's apparent intentions to release Ghostbusters: The Video Game for six systems in June 2009. 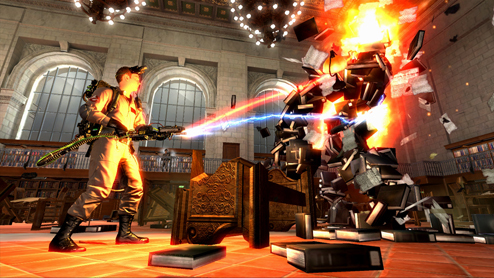 Ghostbusters: The Video Game is a fantastic addition to Atari's global line-up in 2009. In any case, everything is hunky-dory so far -- Co-Optimus is excited enough for all of us, even if the game's co-op mode is going to be slightly gimped.